A Queen and Workers and Drones – Oh My! In my last blog I wrote about the birds, now I will write about the bees! My husband Bob and I frequently discuss our next new endeavor. Eggs would be nice. Should we get chickens? I know a few people who have them but I see the trouble they deal with – getting roosters when you wanted all hens, the mess of a massacre when some wild animal attacks, and the hen house that has to be cleaned out. Goats milk would give us cheese and soap. Should we get goats? They are adorable. But they’d be too much like a pet and I’d want to bring them inside when winter hits. Okay, so what about making our own honey? Last August Bob and I attended Save the bees, an adult program offered at the Bainbridge Branch. Gene McCune offered a great presentation of everything “bee.” He explained how he became involved in beekeeping years ago and how to distinguish the queen from the drones. We sampled two different kinds of honey. And we were enthralled as he described a bee climbing up under his mask and crawling into his nose. Now if that isn’t enough to turn Bob off beekeeping, I don’t know what is. But, undeterred, he excitedly checked out two books that night, Beekeeping for Dummies by Howland Blackiston and Keeping Bees by Ashley English. Both books are great for the beginner beekeeper and are filled with photos, how-tos, and resources for purchasing equipment. In December, Bob placed his order. Three pounds of bees (approximately 5,000) will BEE delivered to our house from Georgia on April 30th. Over the winter Bob purchased a hive, painted it, and slathered it with melted beeswax. We have the place picked out in our yard where it will go. We are counting down the days. I’m not sure yet what I think about having thousands of bees flying around our property, but the thought of having more raspberries or award-winning pumpkins is making me a little excited about it. Be sure to check out our offerings of adult programs in the new issue of Lines & Links, which should arrive in your mailbox any day now. Who knows, one might even start you on a new hobby! Gail Ruester is a Circulation Clerk at the Bainbridge Branch. 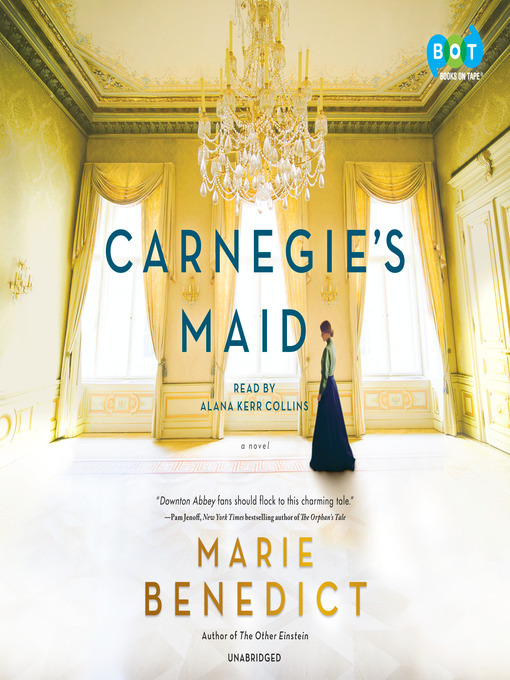 She is currently reading Carnegie’s Maid by Marie Benedict.